Water Protector Legal Collective hasn't added a story. The water protectors need your help more than ever! The Water Protector Legal Collective is still fighting 427 criminal cases against water protectors who were arrested in prayer and nonviolent action opposing the construction and operation of the Dakota Access Pipeline (DAPL). WPLC is also mounting an offensive against the Morton County Sheriff and other agencies who subjected hundreds of water protectors to brutal repression and wrongful arrests. We need your donations to successfully defend all of the remaining criminal charges and to stop the government and security company misconduct and obtain redress for the water protectors who were harmed. 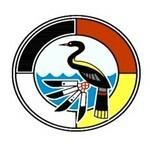 WPLC is the indigenous led legal team on the ground in North Dakota. WPLC has been providing legal representation, coordination and advocacy for all 838 water protectors who have been arrested in resistance to DAPL since August, 2016. Through our efforts, 289 cases have been dismissed to date, and there have only been a handful of convictions for minor charges, none of which have resulted in jail time. We also work in collaboration with the Freshet Collective to provide jail and court support for the arrestees. More cases are being dismissed each week but we expect to be fighting the criminal cases through the spring of 2018 and prosecuting the civil litigation for years. The pipeline struggle is far from over. Construction of the DAPL is currently complete and the pipeline is operational, carrying fracked crude oil from the Bakken fields of North Dakota, to Patoka, Illinois. On June 14, 2017, a federal court ruled that the permit hastily granted by the Trump administration violated the National Environmental Policy Act in several key respects, including by not adequately considering the risk of an oil spill, and the impacts of an oil spill on the Sioux Nations and their treaty rights. But the court has not yet decided whether it will halt pipeline operation. The pipeline crosses through unceded lands of the Oceti Sakowin (Great Sioux Nation), with many sacred sites, historic cultural sites and burial sites in its path, and crosses the Missouri River just north of the Standing Rock Sioux Reservation. The Mni Sosa (Missouri) is the primary source of drinking and agricultural water for the Standing Rock, Cheyenne River, and Oglala Sioux nations and sacred and central to their religion and traditions. This is a crucial time. We need your support. Tax Deductions : Donations of any size are needed and appreciated, but charitable deductions are only available for donations of $100 or more, at https://www.nlg.org/donate/waterprotectorlegal/ . Donations < $100: (No amount is too small, and we are so grateful! ): To make a donation of less than $100 or if a tax deduction is not required, please donate online right here! Checks : You can mail a check payable to "Water Protector Legal Collective" to PO Box 578, 300 Collins Ave., Mandan, ND 58554-9998. National Lawyers Guild attorneys and legal workers join the Water Protector Legal team at camp. 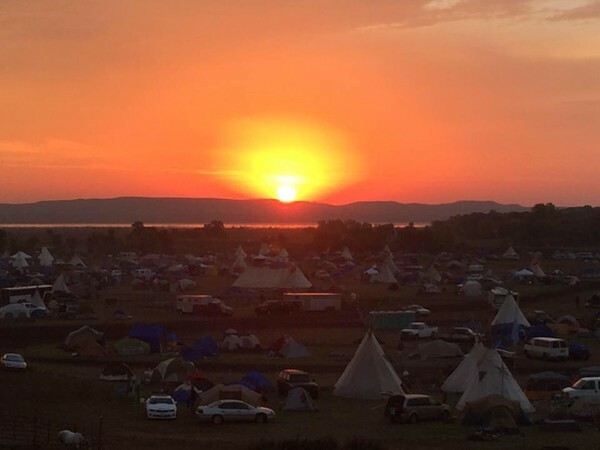 View of sunset at Oceti Sakowin camp from the Water Protector Legal tent. Water Protector Legal Collective hasn't posted any updates yet. Water Protector Legal Collective is managing the funds for this campaign.